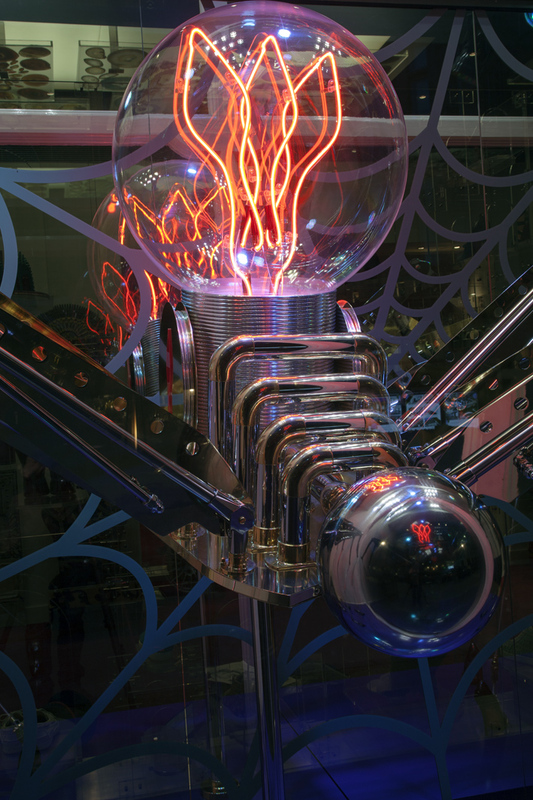 designed by the Italian Studio Vudafieri-Saverino Partners. 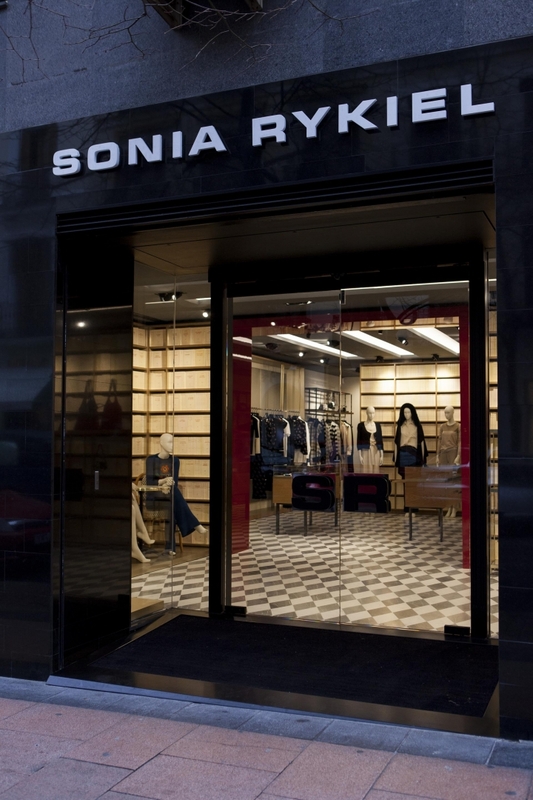 With its first boutique, located in the heart of Madrid, Sonia Rykiel celebrates its arrival on the Spanish market. 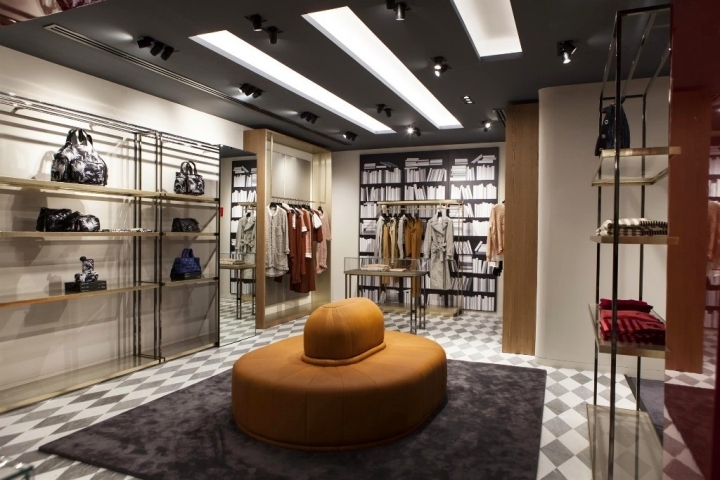 The interior design project is by Vudafieri-Saverino Partners, architectural studio based in Milan and Shanghai, which has been taking care of the development of Sonia Rykiel stores worldwide since 2013. 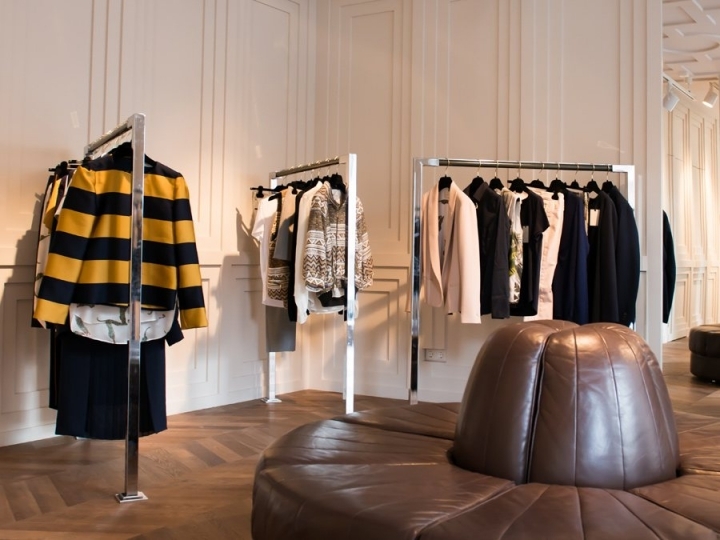 The boutique occupies a 165 sqm surface and is situated among the nineteenth century buildings on the calle Coello, a privileged luxury shopping destination. 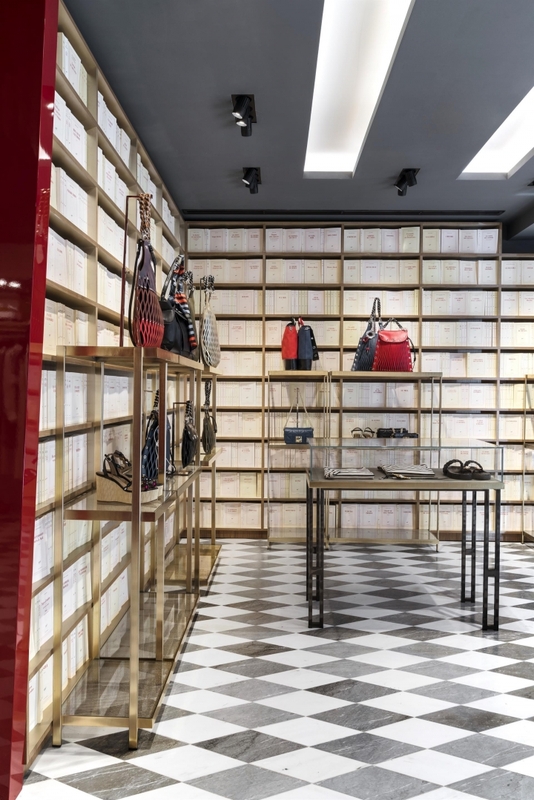 Vudafieri-Saverino Partners (which have great experience in fashion retail, having worked with brands such as Delvaux, Pucci, Tod’s, Roger Vivier, Moschino), for this important opening have developed a new concept, which represents an evolution from previous projects. 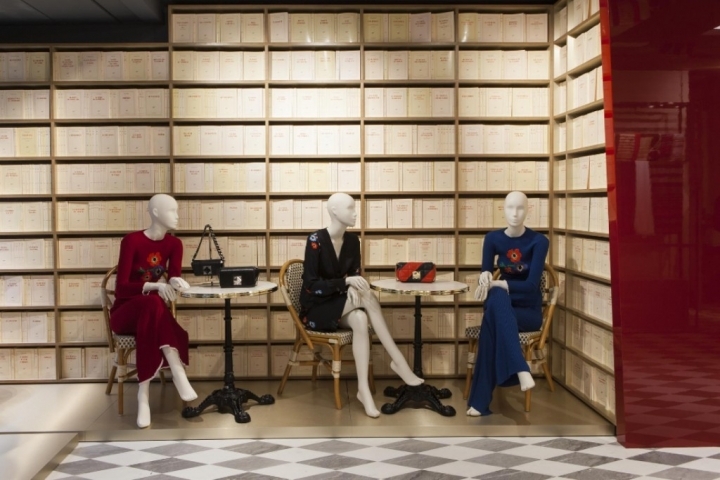 In order to reflect the iconic characteristics of the historical, anti-conventional Parisian fashion brand, the store is inspired by the modern Rive Gauche atmosphere with its cafe literaire and glamour/intellectual spirit. The result is an elegant, yet at the same time informal space, hinged in a succession of refined ambiences with an intriguing atmosphere. 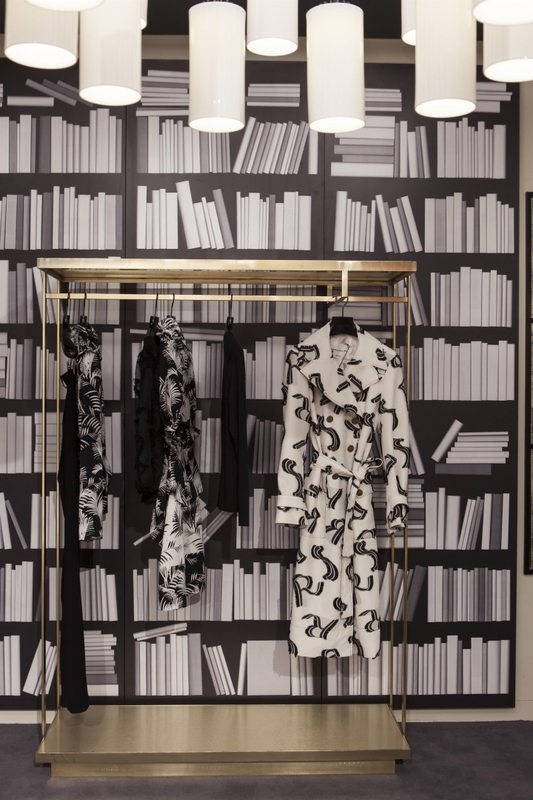 A climate which we breathe from the entrance, where the walls are completely covered by a full-length bookcase, inside of which are works of the historical French Gallimard collection. Passing through the wide red portals we arrive in the rooms in which are housed the main collection and the Salon, designed as a modern boudoir: intimate and cosy.. 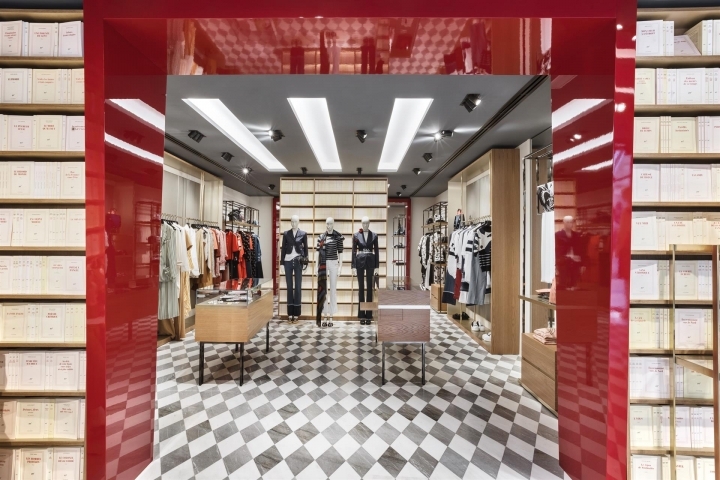 The two portals constitute one of the boutique’s iconic elements, immediately catching the eye: the ironic use of the colour red confers personality and becomes an expression of a confident, joyful sensuality, in line with the brand’s identity. 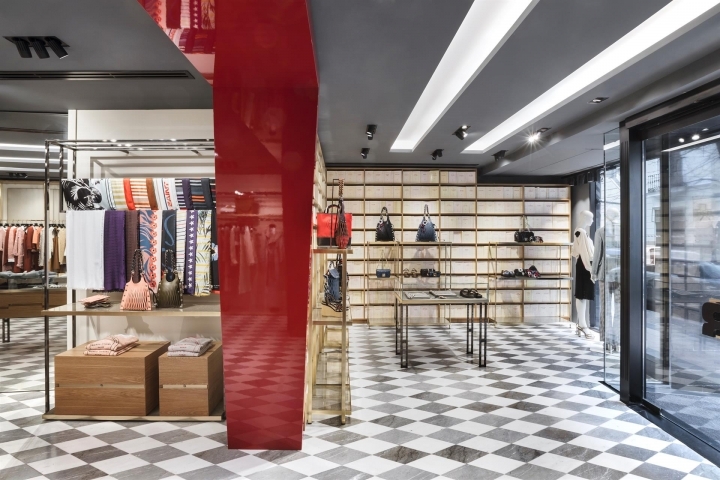 The floor, another strongly recognizable element, has a refined bi-colour stretched lozenge design. All the rooms have made-to-measure light, linear design furnishings. 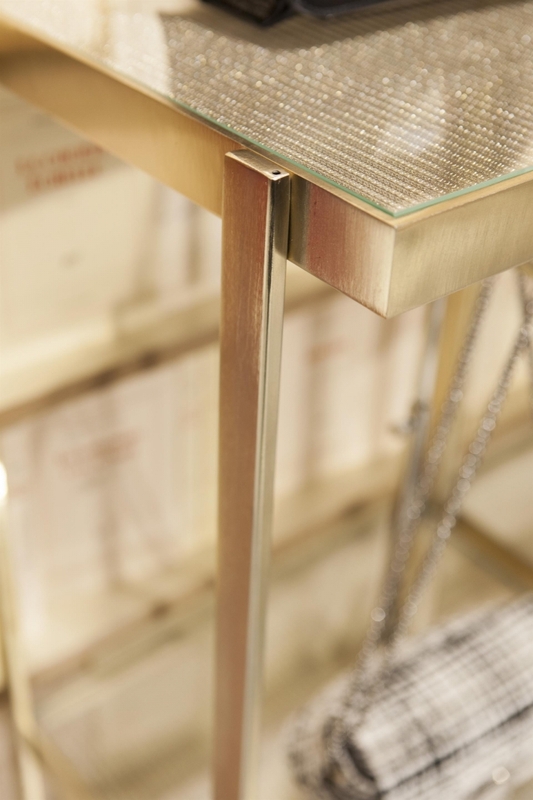 Precious details, such as the shelves in sought-after metallic gold and glass netting, sit next to light/pop elements, such as the bookcase printed on paper. The cognac coloured leather of the sofas and the tailor made poufs, the blue velvet drapes and a great Santa & Cole chandelier, characterize the private changing rooms and main room areas, reinforcing the sense of a modern boudoir. The Parisian atmosphere is once again evoked by the “mise en scene” bistrot style furnishing. 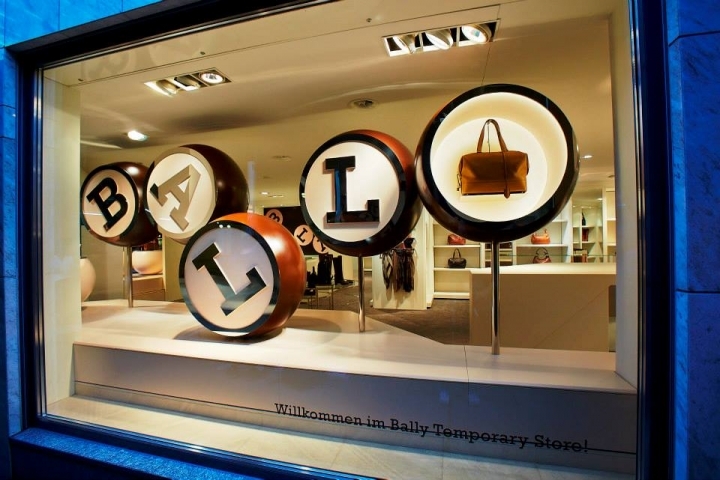 Externally, the façade immediately stands out due to the contrast between the shiny black covering and the white back-lit logo, with the striped curtain textile curtains which refer to the celebrated iconic Sonia Rykiel pattern.